He saw me put the mealworms out on the table, and he came pretty close to me to load up with them. 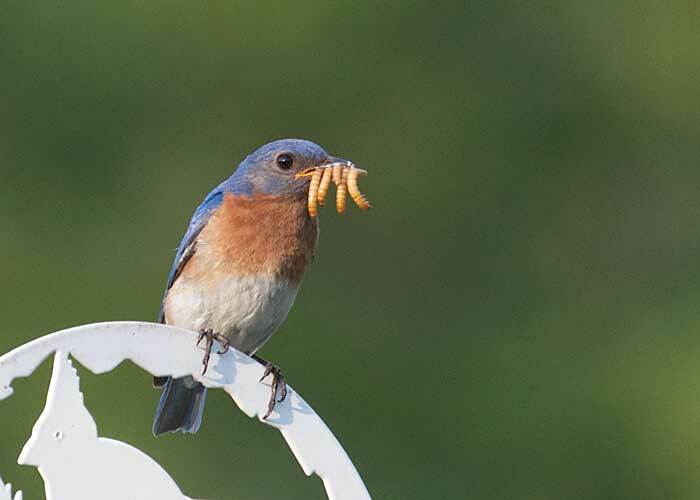 But the male bluebird hesitates, watching me for five minutes before taking them to the babies in the backyard birdhouse. I think he's reluctant to reveal its location to me.